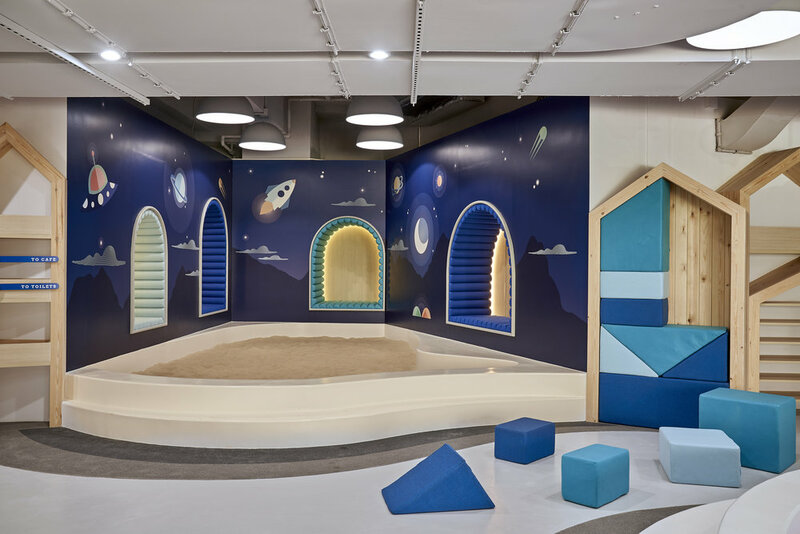 Collaborating again with Campfire Co-work Spaces and joined by Avendale Kindergarten and Campus Cafe, Studio Cassells was tasked with designing a collaborative educational space in Tseung Kwan O, Hong Kong. The space houses a kindergarten, cafe and shared teaching environment - creating a vibrant and exciting space for children, teachers and parents alike. A place to learn, play and socialise - this unique educational space required a cohesive design language while ensuring the three brands were still individually defined. The three brand spaces including two custom designed playgrounds were developed in response to the unique spatial functions and play concepts of each - with the goal of instilling intrigue, curiosity and adventure in the smallest visitors.